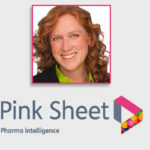 Gene Therapy Milestones: Gilead’s Acquisition of Kite Pharma and FDA’s Novartis CAR-T Approval Signal an Advancing Gene Therapy Field; What Are Key Takeaways for Gene Therapy Companies? – Catalyst Healthcare Consulting, Inc. 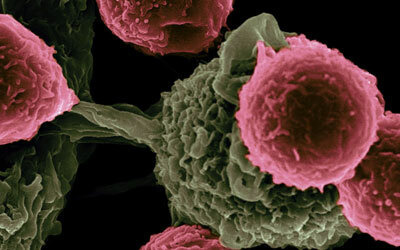 In the past week, we’ve seen significant advances in the gene therapy world. Within the span of two days, Gilead announced it will acquire Kite Pharma, which has a CAR-T therapy under review at FDA, and FDA approved Novartis’ CAR-T therapy, Kymriah (tisagenlecleucel, for a form of acute lymphoblastic leukemia), making it the first gene therapy approved in the US. The events of the past week demonstrate that the gene therapy R&D efforts of the past few decades are coming to fruition, after many fits and starts. 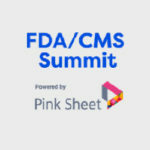 The field is taking a big leap forward in the public eye; the science has matured to the point where FDA is comfortable approving a gene therapy that carries the risk of significant side effects – albeit under strict REMS controls and training requirements for health care providers. And Gilead sees enough promise in Kite Pharma’s CAR-T cell candidate that it agreed to acquire the company at a valuation of $11.9 billion. However, “we’ve also realized certain triumphs,” he said. “Today a pivotal leg in that journey is complete. The science has reached a point of superiority where enough of the components of these endeavors are worked out. We can deliver effective therapies to patients. We can deliver on the original promise.” Kymriah is approved for patients up to 25 years old with B-cell precursor acute lymphoblastic leukemia (ALL) that is refractory or in second or later relapse. 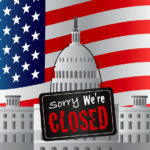 FDA approved the treatment seven months after it received the application, over a month before its PDUFA date of early October. The clinical review was coordinated by the FDA’s Oncology Center of Excellence; CBER conducted all other aspects of review and made the final approval determination, FDA notes. First, the rapid Kymriah approval signals that FDA is willing to put safety issues in context when there is a high unmet medical need and compelling effectiveness data. The approval follows a unanimous recommendation for approval by FDA’s Oncologic Drugs Advisory Committee (ODAC) in July. Approval is based on one multicenter clinical trial of 63 pediatric and young adult patients. However, there is also a risk of severe adverse events, including cytokine release syndrome (CRS) and neurological events; in the clinical trial, 78% of patients experienced CRS. To us, this shows FDA’s consideration of the unmet medical need of pediatric and young adult refractory ALL patients – whose prognosis is otherwise dismal – despite the risk of severe AEs. Second, the approval shows FDA is willing to accept a certain level of product variability, given the nature of individually formulated treatments for specific patients, as long as the variability does not have a significant impact on safety and efficacy. Kymriah is a cell-based gene therapy; it is highly variable from patient to patient (single batch per patient from autologous cells). However, during the advisory committee meeting, Wilson Bryan, director of the Office of Tissue and Advanced Therapies (OTAT) in CBER, indicated that variability alone is not a problem per se, but that the agency looks to see if variability has consequences for safety and efficacy. Thus, despite the product variability, FDA did not consider it to be a deal-breaker. Third, it shows gene therapy companies will have to ensure they control the factors that they can control. While some safety issues may not have solutions, in this case, the Novartis protocol included treatment with Genentech’s Actemra (tocilizumab). The FDA advisory committee lauded this approach as very effective in countering the effects of CRS. Along with the Kymriah approval, FDA granted expanded approval of Actemra to treat CAR T-cell-induced severe or life-threatening CRS in patients 2 years of age or older. Actemra was also incorporated into the REMS for Kymriah (see below). To address the overall risk of severe CRS and neurological events, Kymriah was approved with a risk evaluation and mitigation strategy (REMS), including elements to assure safe use (ETASU). Under the REMS, FDA is requiring that hospitals and their associated clinics that dispense the treatment be specially trained and certified. The certified health care settings are required to have protocols in place to ensure that Kymriah is only given to patients after verifying that Actemra is available for immediate administration. Novartis is also required to conduct a post-marketing observational study involving patients treated with Kymriah. From our perspective, the approval shows that there may be greater flexibility from the agency at the time of approval, but that we may see more frequent and more stringent use of REMS with ETASU with gene therapy products compared to other product classes. Notably, others are also working on gene therapy approaches to a range of diseases, including genetic disorders, autoimmune diseases, heart disease, cancer, diabetes, and HIV/AIDS, as Gottlieb noted. To date, FDA has given the green light to more than 550 INDs related to gene therapy products, and there are 76 active INDs related to CAR-T products. FDA’s approval of Kymriah comes on the heels of other moves by the agency in the broader regenerative medicine space. 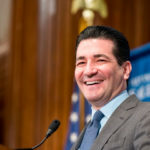 Earlier in the week, Gottlieb reiterated that the agency plans to unveil a new regulatory framework for regenerative medicine in September; this will include a series of guidances informed by the public input received over the past few years on how FDA should engage in oversight of regenerative medicine products. As part of this announcement, he also noted that “certain” gene therapy products that “permanently alter tissue and produce a sustained therapeutic benefit” will be eligible for the new RMAT (Regenerative Medicine Advanced Therapy) designation established under the 21st Century Cures law. Sponsors of RMAT-designated products are eligible for increased and earlier interactions with the FDA, and may be eligible for priority review and accelerated approval. While all eyes will be watching for the September framework to more clearly delineate what is included, we see this statement as a step in the right direction for gene therapy and the RMAT designation. The regenerative medicine regulatory framework is also part of a larger “Innovation Initiative” that Gottlieb announced in July. This Innovation Initiative will reflect the Commissioner’s priority of “mak[ing] sure that we’re taking a risk-based approach in everything we do,” and will entail “modernizing” the agency’s regulatory programs, in part via implementation of Cures provisions. *PRIME is a relatively recent program intended to accelerate development and review of products for unmet medical needs. It provides drug developers with enhanced interaction and early dialogue with the EMA to help optimize their development plan and speed up evaluation; it also includes and the opportunity for the company’s marketing authorization application to be reviewed under the accelerated assessment (AA), reducing the review time to 150 days, rather than 210.